Located near the Canadian border, Jay Peak is one of the highest peaks in Vermont at 3,858 feet in elevation. 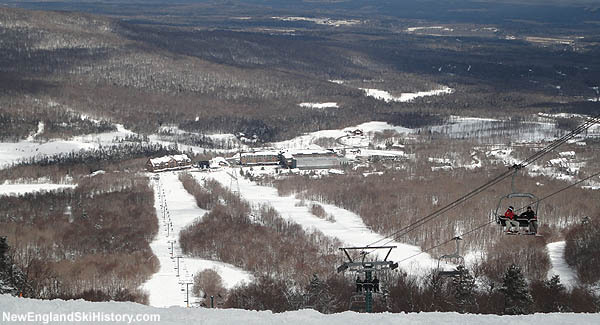 The large ski area is known for its generous natural snowfall, making it a tree skiing destination. The government appointed receiver hopes to sell Jay Peak next year. No government officials have been charged for their involvement in the massive EB-5 fraud. The Vermont Agency of Commerce and Community Development made material misrepresentations to investors and the Federal government. The resorts are expected to be put on the market in May. As part of the settlement, former CEO Bill Stenger will pay a $75,000 fine. The former Q Burke partner and Jay Peak CEO was previously relieved of duties by the SEC. The funds will be used to pay investors, contractors, and lawyers. The EB-5 related properties have missed tax payments in multiple towns this year. The resort reportedly pays the Town of Jay $2 million per year in property taxes.